How To Make A Perfect Cappuccino In 5 Minutes! The most important aspect of making great cappuccino is making great espresso, and there’s a bit of art and science to it! Now, most people think the type of bean determines whether a coffee is “espresso” or not. This isn’t true. Any type of bean can be used to make espresso coffee–there is no official “espresso coffee bean.” Darker beans give a stronger espresso and lighter beans give a sweeter espresso. It’s simply a matter of taste. The roast doesn’t make it espresso, either. Some say that you must use a very dark roast when making espresso. In reality, any roast will do and the roasts generally used actually changes from region to region. On the West coast it’s common to see a dark or “French” roast while on the East coast a light roast. In Italy they generally use a medium roast. As you can see, it’s just a matter of taste. How the coffee is prepared is what makes it espresso. Espresso coffee is a small (1 to 2 oz.) shot of pressure-brewed coffee, using about 1-2 tablespoons of finely ground coffee. When done correctly, the brewing takes about 25 to 30 seconds and it will feature a layer of rich, dark golden cream on the surface, called “crema.” This crema is the hallmark of a quality espresso. Making a great espresso is truly an art as well as a science. So how do you make a perfect cappuccino? Now, as you know, a great cappuccino first requires a great espresso and the different phases of making a killer espresso are roasting the beans, blending them, grinding them, tamping them and then brewing the coffee. 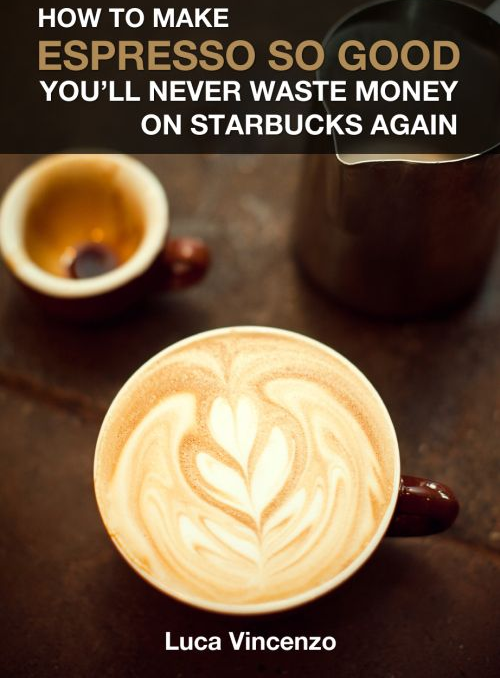 The first thing you’ll need is a good espresso machine. There are several types of espresso makers (autmoatic, semi-automatic, manual, stovetop), many different brands (Starbucks, Delonghi Gaggia, Jura-Capresso, Breville and more) and prices vary greatly ($200-$4,000), so we recommend you look at our guide to help you choose the machine that will best fit your needs. Lastly, you’ll need great beans. There are many options out there, but click here to see the beans we recommend. So, let’s get started by first identifying whether your machine is steam driven or pump driven. If you aren’t sure, consider this: if you have to pour water in the top and screw the lid down, your machine is probably steam driven. If you simply pour water into a large tank, press a button and the machine starts making all kinds of strange noises, your machine is probably pump driven. When you grind beans for steam-driven machines, you will need to make it finer than for the pump-driven machine because steam-driven machines. This is because the steam-driven machines don’t produce as much pressure to push the water through the grounds. You should be using approximately one tablespoon of grounds to every ounce of water. This is an important ratio as putting too little or too much water can lead to bad espresso. As you know, there are 8 ounces in a cup of water. The standard shot of espresso is 1-2 oz, which means that a single shot would require only 1-2 tablespoons of grounds. 1. Pour your espresso into a 5-oz. or larger cup so that you have room for the milk. 2. Set your espresso machine to steam. 3. Fill a stainless-steel carafe (wide-mouthed glass with a lip) with 3 oz. cold milk and insert the steam nozzle. 4. Place the steam nozzle halfway down in milk and leave it in milk for 45 to 60 seconds, or until the milk is hot and there’s enough foam for your preference. 5. Add 1 1/2 oz. steamed milk to the cup of espresso. 6. Spoon some foamed milk onto the top. 7. If you like, sprinkle with ground chocolate, cinnamon or nutmeg. For a drink with fewer calories, use 2 percent, 1 percent or nonfat milk. Traditionally, cappuccino is 1/3 espresso, 1/3 steamed milk and 1/3 foam. 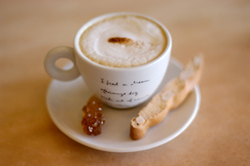 A caffe latte is espresso with two to three times as much steamed milk, also topped with foam. Steam can cause severe burns, and an espresso machine will be very hot even after it is turned off. Open valve on the machine’s steam tube very slowly. Never steam a carafe of milk that is more than 1/3 full. Here’s a video showing the whole process! 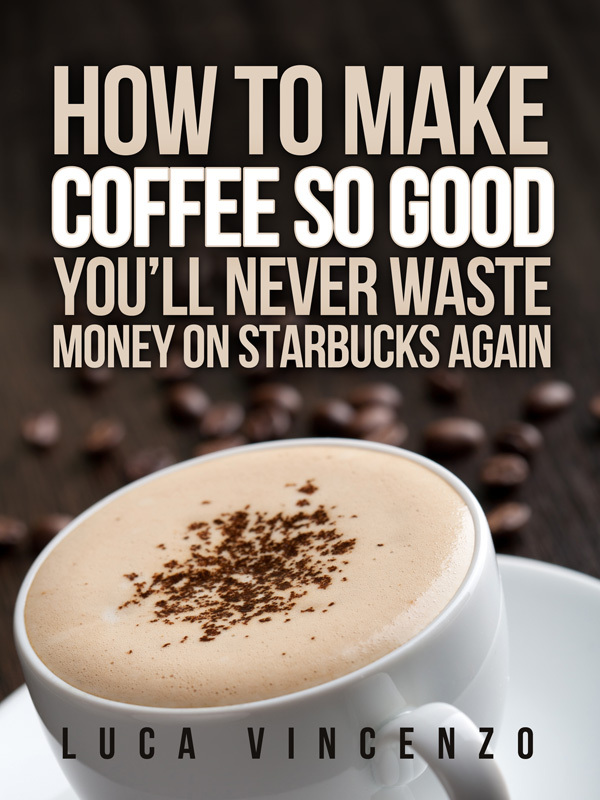 Well, I hope that gets you started with making great cappuccino. However, to make outstanding espresso and cappuccino, you should learn a little more!